Home to more than just the Bears, deep dish pizza, and historic route 66, Chicago offers its residents and businesses a diverse environment. What has been most attractive for businesses has been its established infrastructure to support global supply chains. Its diverse economy and environment have contributed in making Chicago a successful logistics location for a variety of industries like manufacturing, retail, food, and beverage. If you are looking for a centralized distribution location, then the Chicago area may make a perfect fit for your supply chain. 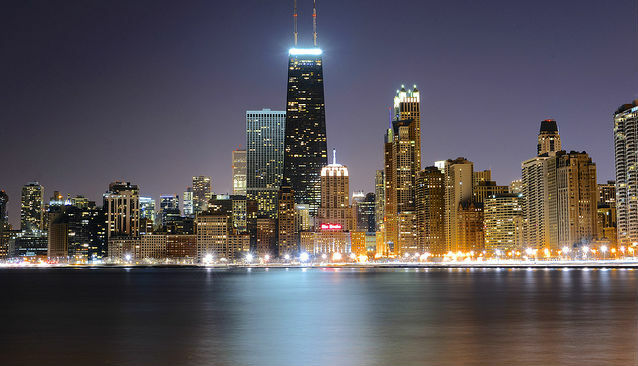 Chicago and its surrounding areas offer unique capabilities for businesses and shippers. The area moves roughly $3 trillion worth of goods every year1. It provides a central location for North America and has a strong highway infrastructure to support inbound and outbound freight. The area has numerous major highways that lead in all directions. In a half of a day’s drive, 250 miles, you can reach five states including Wisconsin, Iowa, Indiana, Michigan, and Ohio. The Chicago area is also home to O’Hare Airport which supports major air freight operations. The area also has two other major airports; Chicago Midway International Airport and Gary Airport. Inbound and outbound freight volumes by air are projected to increase at a faster rate than truck and rail well into 20402. The port of Chicago is also an integral part of what makes the area thrive as a distribution oasis. Shippers use a Great Lakes Self-Unloader ship which minimizes the use of on-shore equipment and allows for multi-mode transportation to reach other Great Lake ports3. One of Chicago’s key traits is its intermodal capabilities as it is where all the railroads in North America meet. There were about 7.5 million containers moved by rail through the Chicago area in 2014 which has gradually increased each year4. There is a total of 18 rail yards5 in the area which connect manufacturers and farmers across the Midwest to markets across the continent6. This is also where Canadian and United States rail lines meet so shipments can be easily navigated cross-border. A recent study by the Comprehensive Regional Planning Agency (CMAP) suggested that the region’s freight business supports over 176,000 jobs. With the growth in freight moving through the area, there has also been a boost in labor. There is a high population of skilled workers and the increase in volume has led to more hiring and new opportunities. Many of the global freight brokerage companies are located in this market, providing transportation management opportunities to local residents. The local transportation and utilities industries are also growing. Skilled workers from these industries are well trained and have experience reaching high productivity levels to support the incoming business growth. Drivers also benefit in the area with its proximity to other cities. Work-life balance can be achieved as they can drive to and from several population centers and return home all within a day’s drive. As businesses are taking advantage of all that the Chicago area has to offer, the area is responding by looking for ways to continuously improve infrastructure7. Varied transportation options, paired with a central location, have made Chicago an opportune place to locate your distribution hub.